TOUR DIARY SAN FRANCISCO: last nights show in Los Angeles couldn’t have gone any better. Not just a packed house, but the right people in the room. Seemed like my whole record label was there, including the President. Maybe I’m just getting older, but I actually like all those folks who work at the record label, where as before in my younger days I would’ve been suspicious of them. I stayed up late w/ old friends like I always do & me & Jason Burns talked about doing a Johnny Carroll style old school Road Kings record, while Lew Temple egged us on. Also, Danny Bland was there like a ghost & then evaporated! My 3 best brothers in the room at the same time. 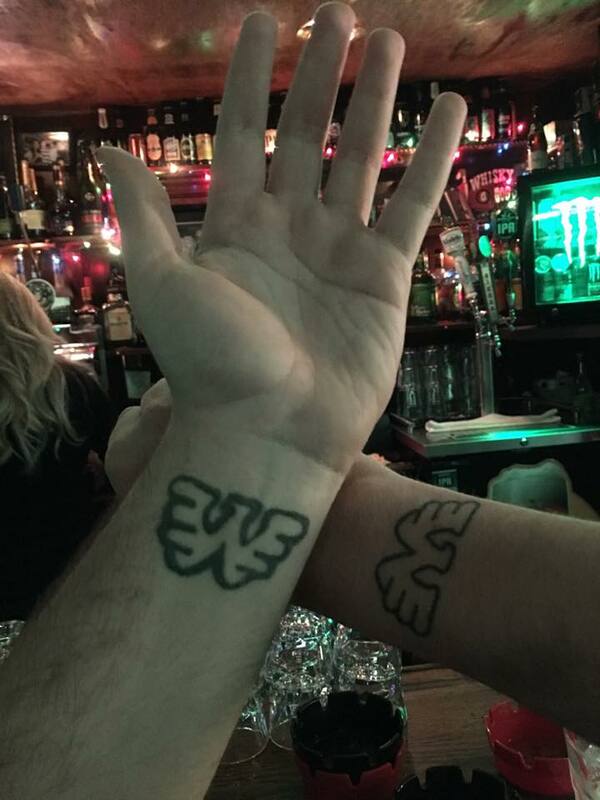 Ended up stopping by the Rainbow bar for one last night cap & ran into Waylon Jennings grandson who has the same tattoo as me. I asked him “do people ask you why you have a Wonder Woman tattoo?” Ok, moving on to the great city of San Francisco where we play tonite w/ Scott H. Biram at 8pm at Brick & Mortar. Bus is pulling out now, gotta jump. PS did a podcast interview last night that’s gonna be great & will let y’all know the specifics soon.